1. The PhD is damn hard. 2. I am stronger than I think. 3. I am so glad I never have to do it ever again. Well, after almost two years of ignoring my PhD monograph, at the beginning of the year I decided I was actually going to pick up my thesis and begin thinking about doing something with it. First, I wanted to pay homage to the role Nigerian fiction played in my thesis. A teeny background before I begin. My thesis looked at the everyday lives of male and female domestic workers in Lagos – a labour force that, while somewhat ‘hidden’ in public policy terms, is a significant part of daily life in Nigeria. These women and men perform different jobs, such as caring for children, keeping homes (and surrounding compounds) neat and tidy, washing clothes and/or dishes, driving people around, and keeping homes safe and secure. Yet, they often remain invisible in Nigerian society, and in most cases are treated with very little respect and dignity, and face multiple and varied forms of abuse and discrimination. In my thesis, I was interested in understanding the terrain of struggle and negotiation in the places people work, live and move through on a daily basis – particularly in a context such as domestic work, where unequal power relationships are deeply embedded within these everyday situations. I was also interested in how these experiences are shaped by factors such as gender, age, occupation, living conditions (living with employer or not) and so on. When I first started working on my PhD, one of the things I found frustrating (and trust me, there were many) was that while (as mentioned earlier) domestic work was an important part of daily life in Nigeria, I really struggled initially to find information surrounding details of the employment in the country - even in terms of numbers. With time I did find some papers and texts on the subject and my interviews greatly helped, but it was tough in the beginning. On many occasions when I was frustrated with my PhD, or just felt like giving up, I would turn to fiction – as a way to escape from my thesis. If I’m honest, it was also a way to procrastinate and ignore it all together. I never even intended (or thought it was possible) for fiction to play a role in my PhD. More than anything, what it ended up doing was giving me the confidence to continue writing about a topic I felt needed to be researched. It also made me realise that while I had to follow certain rules and regulations regarding how a PhD is written, I could also write it in a way that was not too rigid. A way that enabled me to tell a story – because ultimately I was telling a story of the lives of men and women who worked, and sometimes lived, in the homes of middle- to upper-class Nigerians. 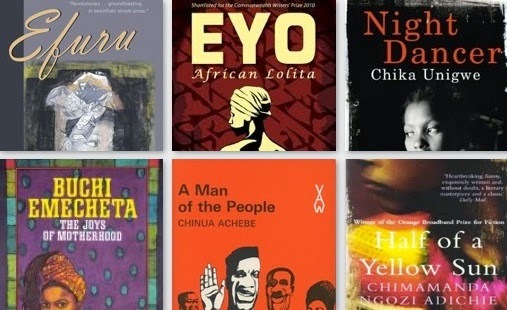 While I did not read these novels as the bearer of truth for all things on domestic work in Nigeria, it was great for someone like me who was arguing about the somewhat invisibility of domestic workers in Nigerian public policy to see that fiction writers had taken the time to write about domestic workers in some shape and form. There were, of course, different portrayals and experiences of domestic workers in these stories I read. As if these were not enough, Efuru’s friend began to narrate all the atrocities of maids. ‘How?’ Efuru asked in horror. 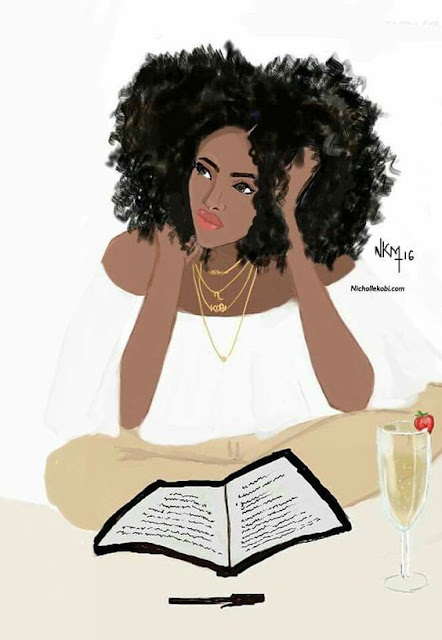 I also read about domestic workers in contemporary Nigerian novels, such as Chimamanda Ngozi Adiche’s (2006) Half of A Yellow Sun through Ugwu - Odenigbo's 'houseboy', Abidemi Sanusi’s Eyo (2009) where a young girl is trafficked to the UK, where she initially works as a 'domestic servant', and Chika Unigwe’s (2012) The Night Dancer, where Ezi's husband has an affair with their young maid, Rapu. Short stories, as well, such as Life During Wartime: Sierra Leone, 1997 by Chimamanda Ngozi Adichie published in 2006 in The New Yorker online, where Adichie writes about Fide – a ‘houseboy’ from the village, who is described as ‘backwards’ because he had never seen a refrigerator, spoke a rural dialect of Igbo that was not Anglicised and chewed rice with his mouth open. There was also the short story, The Housegirl by Okey Chigbo in Chinua Achebe and C.L, Innes’ Contemporary African Short Stories. I did read beyond Nigeria, such as Ferdinand Oyono’s (1990) Houseboy - set in colonial Cameroon, and Amma Darko’s The Housemaid set in Ghana, but through these works of fiction I found a space to begin to tell the story about domestic work that I really believed needed to be told. Fiction also enabled me to improve my skills in writing, find my voice, and write my PhD in a way that was comfortable for me and true to who I was, as well as the women and men I interviewed (without losing all the academic rigour and so on that was necessary). Really, it gave me the confidence to own my PhD topic and realise that (to a large extent) I can be in control of it - instead of my supervisor. And l like I said earlier, it offered me a space to escape from the thesis when I needed it the most. Blogging also helped me write my dissertation – and one day I may write about that. For now, this is a little thank you to fiction from me and my dissertation. Now, I’m off to find new inspiration and motivation to actually turn into it something beyond a PhD monograph. Wish me luck! Thank you for sharing this, I love how fiction served to inspire you and to free you from feeling as if your thesis was not in your control. I hope that you can use your material to find further inspiration and allow it to evolve into something with different criteria, something that an audience of readers can share in. I wish you luck and courage!